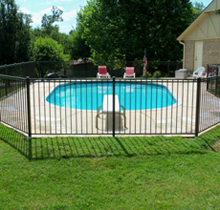 Aluminum Fence Reviews | Our Customers Tell Their Stories! We would like to share with you some of the many fine emails we have received from our customers. They tell of their experience in their own words. We were privileged to be a part of their home improvement project. You have a very satisfied customer, Thanks to your attention to details, the project went smoothly. Thanks! Just wanted you to know we are LOVING our fence we purchased from you last summer. It is BEAUTIFUL around our pool and backyard. 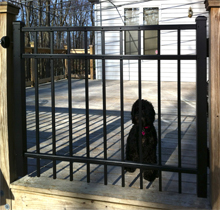 Thank you sooo much for working with us and helping us pick the "right" fence for us. Blessings to you and yours! Fantastic product! Better than I could have imagined, excellent job on packing & shipping. Well done & thank you! 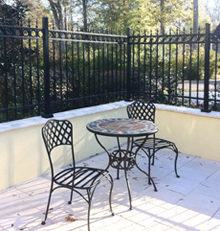 The new white aluminum fencing that I ordered from you was installed about two weeks ago—and it looks fantastic. It looks even better than I expected it to. IFence makes a great product. 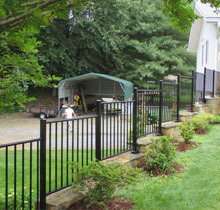 Attached are three photos of the fencing, installed along a curved concrete driveway in front of my garage. The 4-foot fence sections worked out perfectly—they follow the curve of the driveway quite well. Thank you. It has been a pleasure dealing with you and your company. Really nice to see such great personal attention. A couple of days' work and it looks really good, the posts and panels fit nicely. Everything is up and looks nice. Easy to install. Thanks for all of your help. Great work and follow through. The fence is beautiful. I am really pleased with the matte finish and the quality of the materials. It looks elegant. 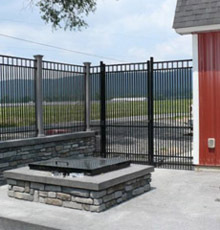 Our fence installer wanted your contact info. 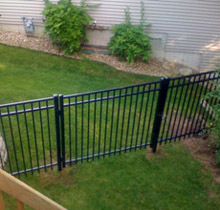 He said this is a better fence than what he is selling/installing. Thanks Again! It looks amazing. Thank you for being so easy to work with. I've attached a few photos of the project. Thanks! Finished the project and [then] had a party. Everyone loved the fence (aesthetics and quality) and I received a lot of compliments from guests. 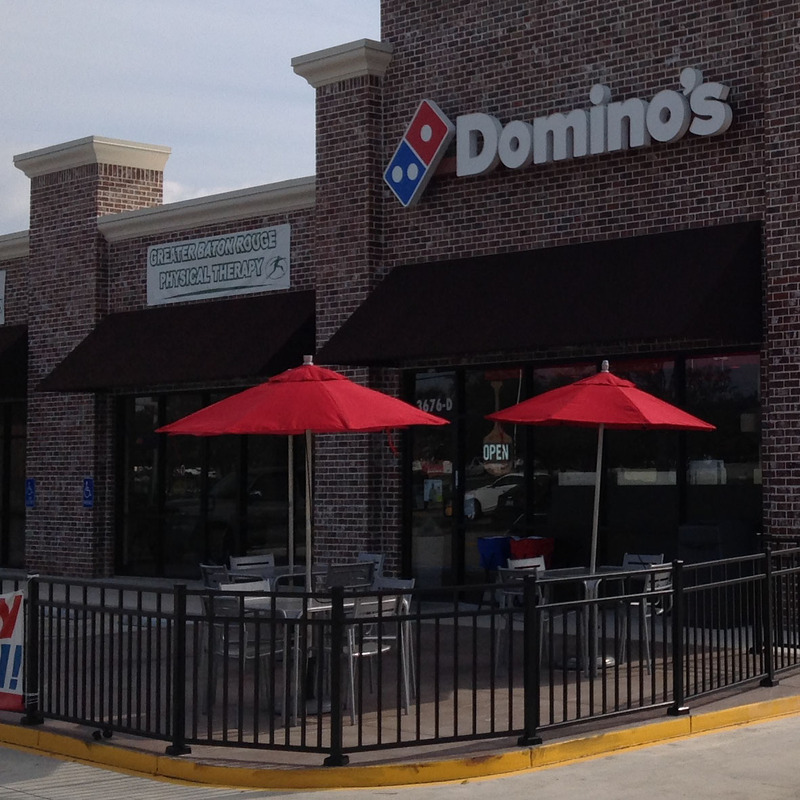 Thank you for providing excellent service and assistance the entire way through. 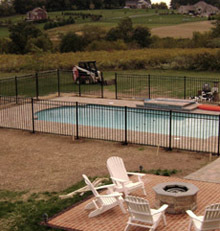 I will be a repeat customer and I recommend iFenceUSA to everyone I know who is looking for a fence. Please pass this along to your superiors. I have never had service this good, and I'm pretty particular about everything. 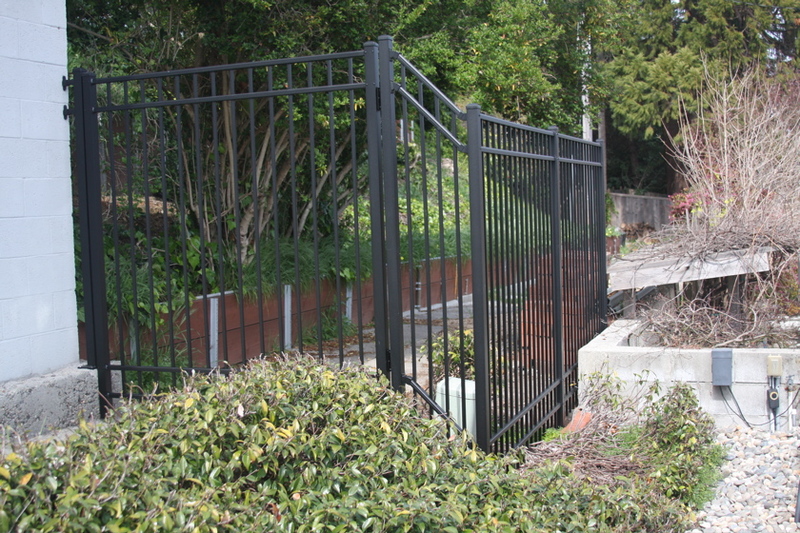 Also, the fence was packaged very well and easy to install and modify [for panel width]. Thanks again. The fence has been up for a week and it is spot on beautiful. Thanks for your messages and support - the installation went beautifully.... I could not be more impressed with the quality of the products, but most especially with the level of service and attention to detail that you gave to me on this very modest order. I really did not think this level of customer service existed anywhere - it was a wonderful surprise to find it in dealing with your company. Again, many thanks for the extraordinary service. I really appreciate your care with this order. I finished my fence project today! Just wanted to drop you an email to say thanks for all of your help in aiding me in this project. 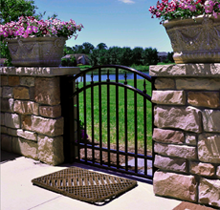 Between your assistance and iFenceUSA's website, the whole process was made very simple. This was my first fence installation and it was a complete success! 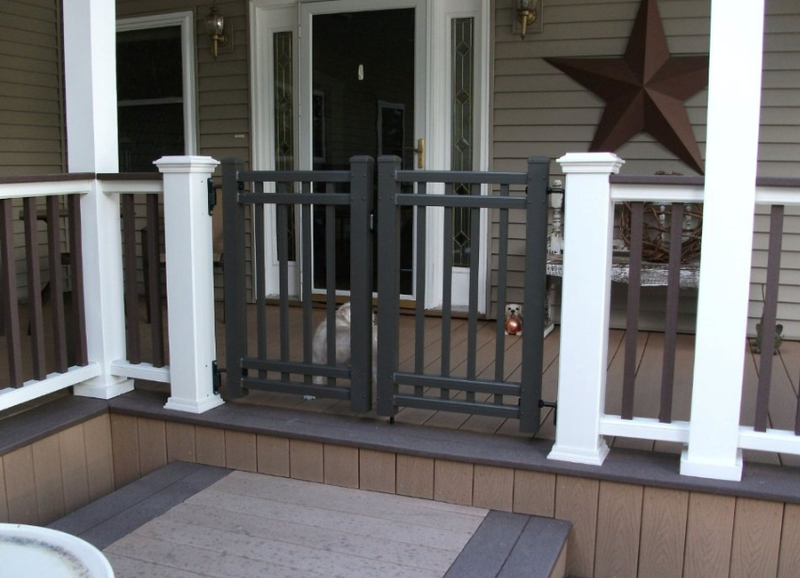 The website was excellent in its instruction and the 'idesign' segment was very helpful in seeing how the fence was going to look at completion. The quality of the fence far exceeded my expectations. Many of my neighbors have used other companies and their fences are of noticeably lesser quality in appearance and in strength. 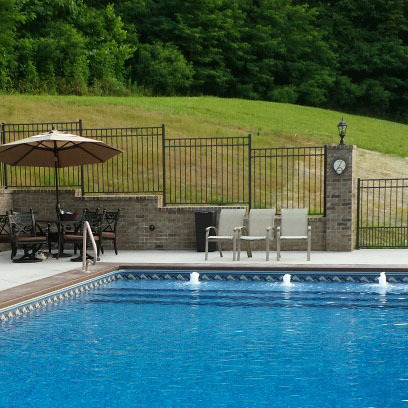 Your guidance and insight when I was in the design phase was so helpful that, based on your comments, my fence design looks as if a professional had designed it after spending many hours in my backyard! I will recommend to all my neighbors iFenceUSA! I just wanted to say thank you so much for doing all that you did so that we could get our fence finished! We love your product. If you have a brochure, please forward it to me. 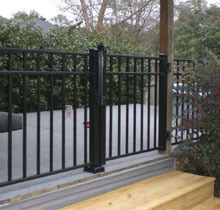 I will be giving my fence guy your name and number as well as your website to refer to. We truly enjoy having our fence finished and our dog truly appreciates FINALLY being fenced in and not so much being confused anymore. It looks beautiful! Thank you! Thank you! and Thank you! Thanks a lot for your great customer service, I finally ran into someone one takes pride in what they do. Thanks, your product is first class and you are welcome to use me as a reference for quality and good customer service. 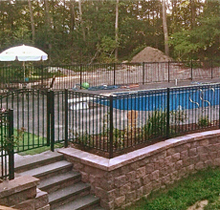 Just wanted to send a note regarding "the pool fence", which my two sons and son in law completed on Sunday. Despite the rain, they got it done in a day and 1/2. My wife is thrilled with the final result. Thanks again for your excellent support. Thank you for our fence. It is beautiful. Just wanted to say thanks. It looks great. I attached some pics. We have the fence installed and it is beautiful! Went in like a breeze. Thanks! 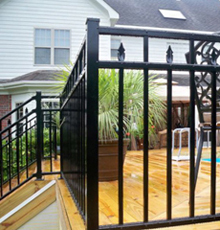 I have had tons of compliments on the fence and our pool store is coming to check it out to refer for others. I'll send pics too! Thanks! We appreciate your professionalism throughout the entire project setting appropriate expectations. We love the fence! It's perfect. Thanks to you and your team. It was such a pleasure working with you. I put up about 6 of the panels this evening after work. I set 2 of the 6 foot rackable panels on the first slope. It looks great and is very easy to install. I am very pleased. Thanks for all of your help. 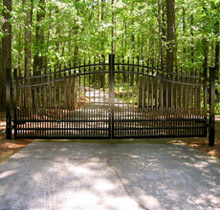 We have all of the fence installed and the "Regal Estate Gate" installed. As soon as I have the front entrance landscaping finished (hopefully next week) I'll be sending pictures I'm sure you will want to use on the website. It has turned out absolutely beautiful! The gate and fencing worked out well. Have a wonderful day! I am all done and it came out just great. It is not too often today that you can say how nice it is to work with someone that is very knowledgeable, patient and understanding, but I am doing so now. It has been a great experience from the start of working with your web site to calling on the phone and getting you on the other end. From the very start of asking for samples, a quote, a layout of my project, to on time fabrication and shipping from Michigan to Florida, I could not be happier. The product arrived in perfect condition and on time. Upon opening the boxes I found the product to be of better quality that I expected and everything was there, not one shortage. The boxes were all labeled with item and quantity making it very easy for me to find everything as I started installation. It was everything and more than you said. 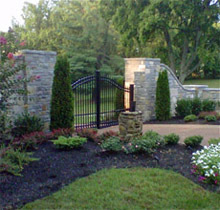 The fence, along with the two leaf gates look elegant. We love the way it looks and the value it has added to our home. Thank you. Got it installed just in time for the game..... It turned out great. Thanks again for your help throughout this entire process. My husband would like to commend iFenceUSA on the packing of the fence! No damage and great job and great service. Thanks. Thanks for staying after me to review your product. 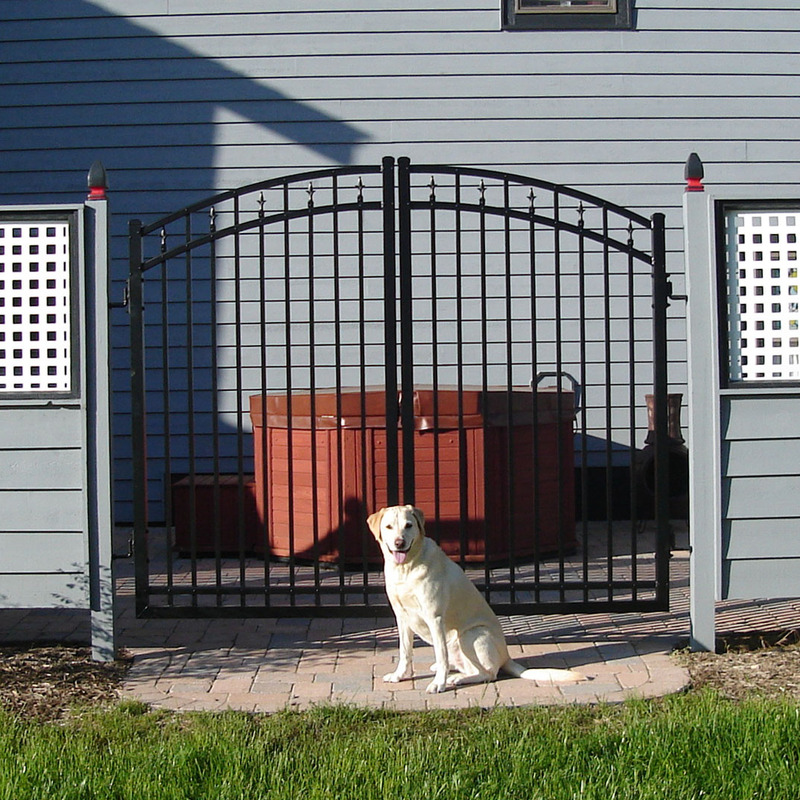 These gates are better than anything I could find locally and just as affordable. This is a picture I took with my Blackberry. Not a great picture, you will have to take my word for how good they look. Only ones unhappy are the dogs, they can no longer harass visitors. 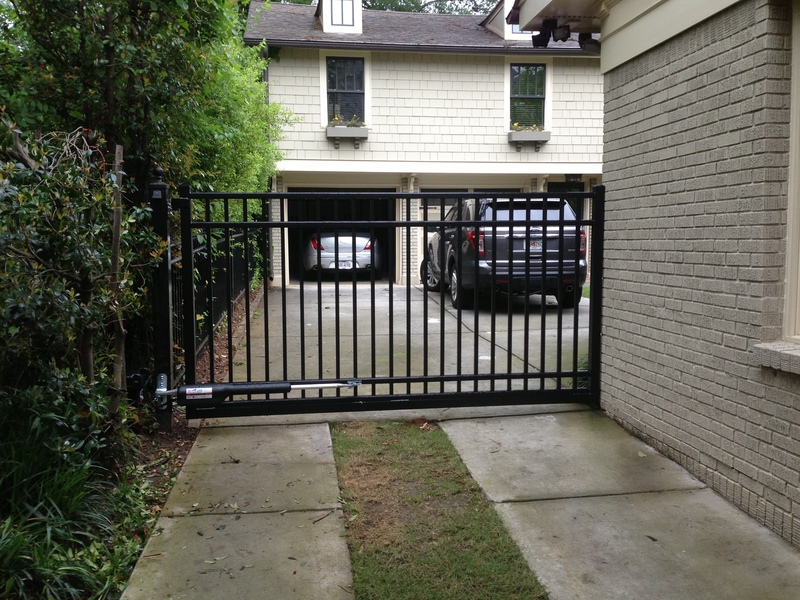 Our gates arrived and I have installed them. They are just what we wanted. Your help in getting us exactly what we needed was more than anyone could expect. And the price was unbeatable. Thanks again for everything. If you ever need a testimonial, you need look no further. Just wanted you to know that I installed the fence this past weekend. The wife loves it and that's all that matters! 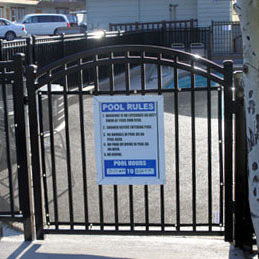 The fence has been installed for my drainage ditch at the apartments in Prescott Arizona. Installation by my vendor was without incident. I have had nothing but good remarks from the neighbors and tenants. It was a pleasure doing business with you and will keep you in mind for any additional needs. I would gladly recommend you. I really like your product. Much better than anything else I have been able to find. Installed easily, functions as expected, and absolutely beautiful! Now I can decide to keep the dogs on the patio when it's wet outside and let them have the run of the yard when it's dry. Thanks for all the time and assistance with our call this evening. Really makes me wonder how people do this without your kind of assistance. 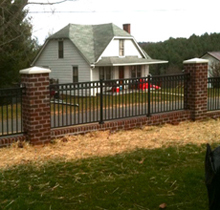 I received everything and the fence is in and looks awesome.... lots of compliments.... thanks for everything! Attached are pictures of the completed fence. Thanks for all your help. Looks great. The fencing has been put up and looks fabulous! Thanks for your help!! I received your product and must say it speaks for itself.... I was very impressed with the strength that the CFS adds to the panels. I cannot tell you how many compliments we have received with this project. If you ever need a reference from Architecture/Engineering perspective, please feel free to let me know. You did an amazing job at every step and solved every small issue we ran into. This is the service customers need and you delivered! Thanks! I just wanted you to know that we received the fence yesterday and it looks great! We already have one side set and it is going to be just what we wanted. Thank you! It has been a pleasure working with the people of iFenceUSA. Thank you for all your help and patience while we made our decisions. The fence is almost complete and it looks great. I'm really happy with the product and how quickly we received the product. Thanks for your help in this process. Just wanted to take a moment and say thanks for such prompt and courteous delivery of our fence order. My wife is thrilled with everything. Thanks for all your help! Let me say what a great experience it was installing the fence. Everything went together smoothly and when there was a question your team got right on top of it. Thanks for all your patience as we really love the finished product. Thanks for all you help during the process. I'm sure glad I went with your product, it was as described. Thanks! 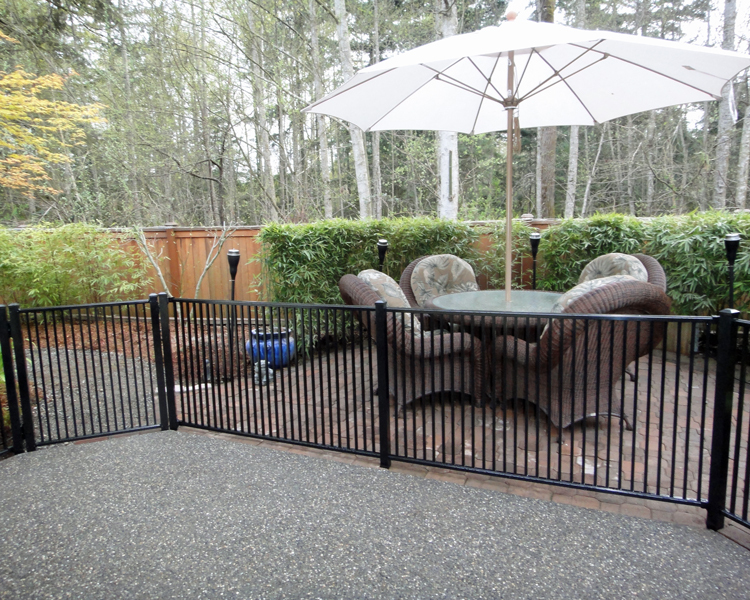 Your fence is spectacular, one of my favorite features of our backyard landscaping! My fence is beautiful. Thank you! 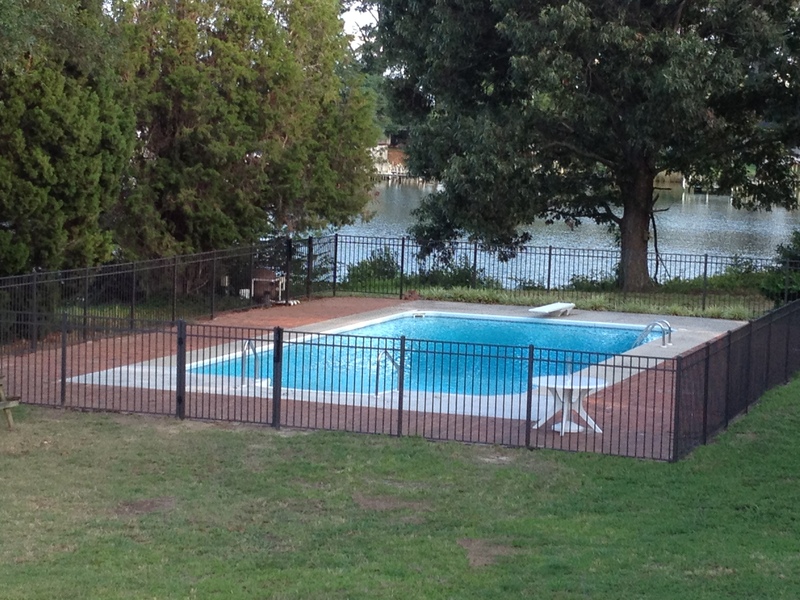 The pool fence is in and it looks GREAT! Thanks for your help. I installed the fence. We love it. I'm so glad we bought our fence from you! Thanks so very much. Excellent product! The project went well and is finished. We had a little challenge with the section that had to be put in at an angle, but other than that it went real smooth. Here is a picture! I used your product and was very impressed...thanks! Thank you so much for your work on the fence. Not only did it get to me on time, but it looks awesome. Just wanted to say thank you for everything you did for us. 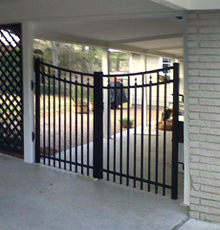 We completed the fence/gate project and it looks amazing. Installed the Ventura Classic™. Looks great. Certainly [happy with fence and service]. Everything went very smooth and the product looks great and feels very solid. I have gotten several compliments [already]. The fence is beautiful. Thank you again for everything! Gate arrived this afternoon and it looks great. Even gave the truck driver your business name, as he's interested in one himself. Thanks for the good work. Looks good.... Really like the fence, and going up and down the property went well. Dog is confused, does not understand the boundaries being set. He is having trouble with the perimeter be closed in. He has some adjusting to do. 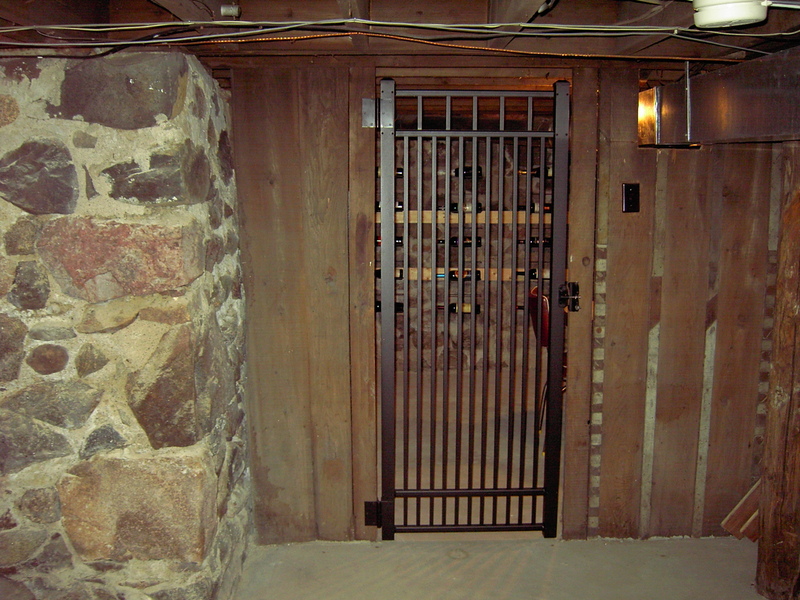 My wine cellar gate is perfect. Everything fits perfectly! 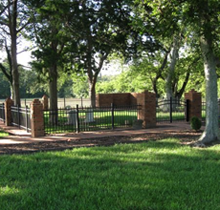 I will recommend iFenceUSA to all my friends! I finally got the fence in. Thank you so much. Great, lovely product, I must say. My wife says she is so glad we went with the bronze tone. The black is too strong and everyone on the block has black. You are just simply too kind, helping and a real pros! I love your company. Anyone that says dealing with companies hundreds of miles away is bad for customer service is so wrong! Thank you so much. Keep Laughing! 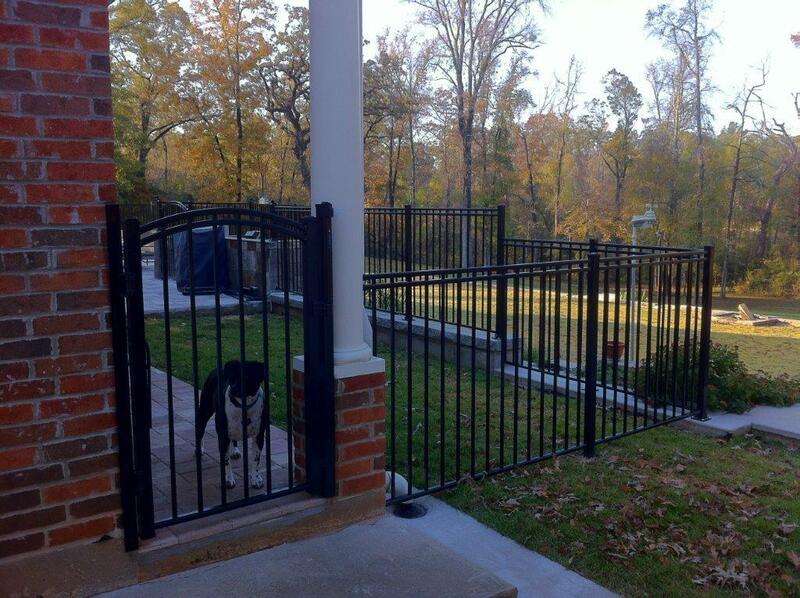 The fence is great, went together easily and everyone loves it. Again, thank you for your patient help in designing and providing in a very timely manner. The fence is installed and looks great! 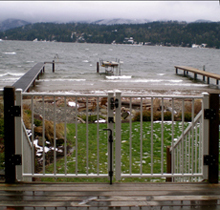 Wow, what a difference from the old green chain link fence, thanks for all your help. 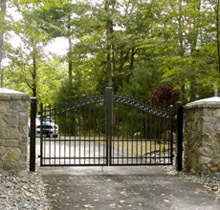 I received my driveway gates a few weeks ago and they look great! Very pleased with the look and quality of the gates! Thanks again! Just got the gate. Looks great. Thanks! It's a beautiful fence. It exceeded our expectations. Thank you. Your product was amazingly easy to put up. It took me about 12 hours to install the whole thing. Doing it myself saved me over $3000. 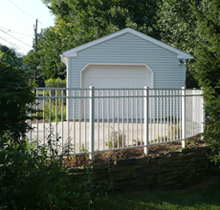 I will recommend you to anyone I think might be looking for fencing. Looks outstanding! The gate arrived all looks great. 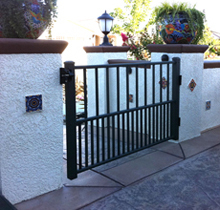 "We appreciate your professionalism throughout the entire project setting appropriate expectations. We love the fence! It's perfect. Thanks to you and your team. It was such a pleasure working with you. "